Mother and Baby magazine is the pregnancy and parenting magazine for modern mothers. Buy a single copy or subscription to Mother & Baby magazine. It will bring you the best product reviews in the business – and everything is mum-rated. It's here to keep you and your baby entertained, with real life stories and brilliant tips for playtime. 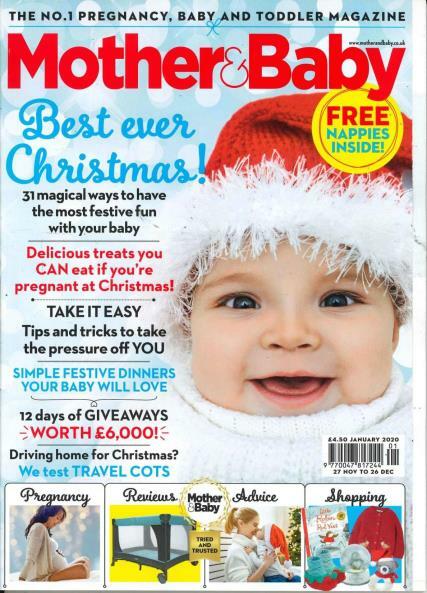 With a subscription to Mother & Baby magazine, every month you will get direct to your door an issue packed with hot news stories and reassuring features on pregnancy as well as practical tips on baby and toddler care plus authoritative health pieces. And all that before you mention the moving real-life stories, hot fashion, cool celebrities and the best shopping pages in the business.